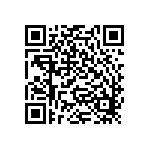 An application for Android smartphones and tablets is available for Marelibri. 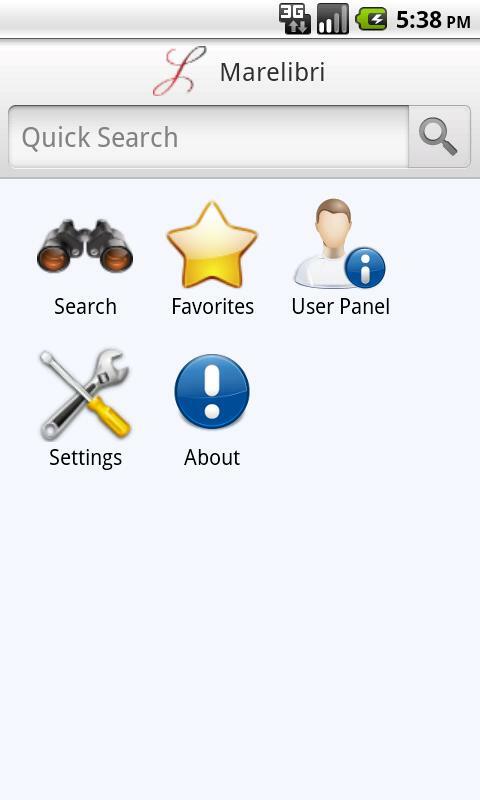 Search for marelibri on the Android market. 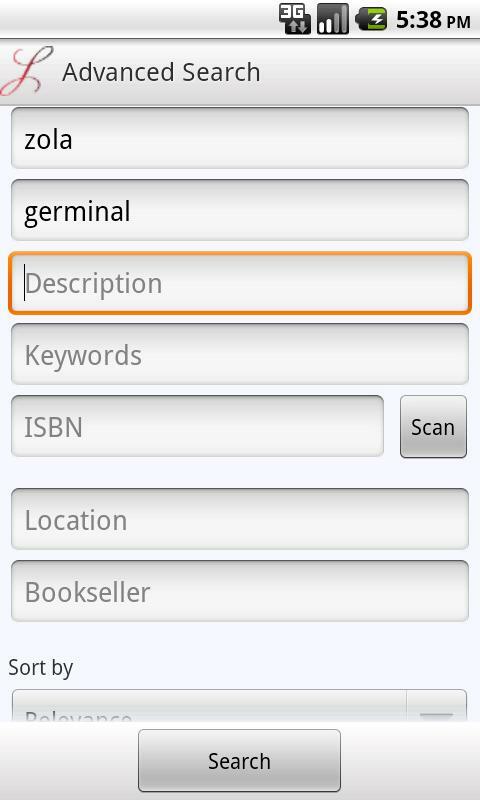 Use/Add/remove favorite books and queries. Buy the books directly from the bookseller. 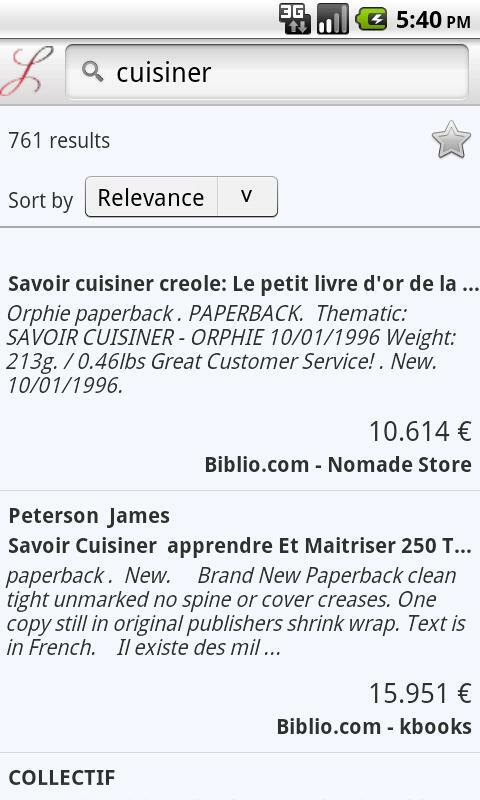 Share search results and book description. Do not hesitate to contact us if you have any suggestion!